The Hawaiian language, known as ʻōlelo Hawaiʻi, is now available as a course from one of the largest language-learning apps. Duolingo on Monday launched a Hawaiian language course — developed with the help of Kamehameha Schools, a Hawaii-based private school system — on its website. Updates to Duolingo's mobile app that would include the lessons are currently under review by Apple and Google, according to a company spokesperson, and are expected to be released later this month. “Bringing ʻōlelo Hawaiʻi to this platform builds on the tradition of our ancestors in the nineteenth century who embraced the new technology of print to pass on our traditions, literature and history,” Kāʻeo Duarte, vice president of community engagement and resources at Kamehameha Schools said in an email. Duolingo isn't the first app to offer Hawaiian lessons, but the company says it is the world's most popular language learning platform, with a user base of more than 300 million. The platform’s courses are provided free of charge. Hawaiian is the fifth most widely spoken language in Hawaii other than English with 18,610 speakers, according to a 2016 state report. After the Hawaiian Kingdom was overthrown in 1893, teaching and learning in the Hawaiian language was banned in 1896, resulting in a decline in the number of Hawaiian speakers. 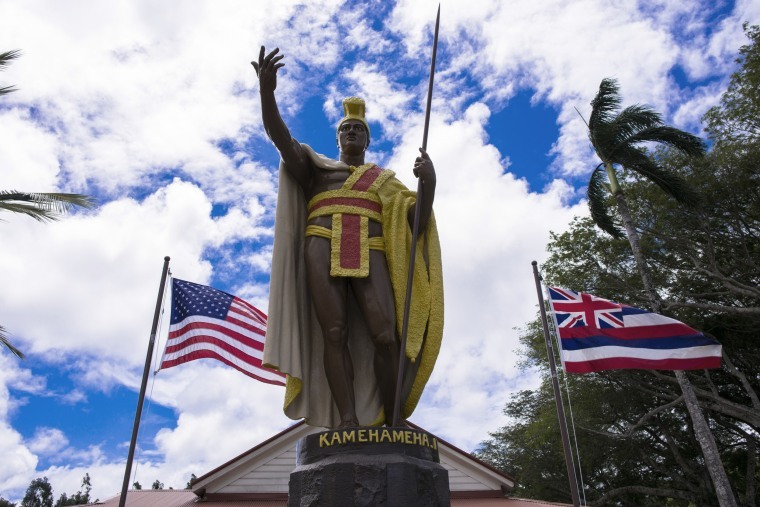 In 1978, the Hawaii State Constitution was amended to recognize Hawaiian as an official language of the state. Efforts to revitalize the language have endured for decades. In the ‘80s, a Hawaiian Studies Program and Hawaiian Language Immersion Program were established in the state's Department of Education; the University of Hawai'i at Hilo launched a Hawaiian Studies degree taught in Hawaiian; schools taught in Hawaiian were reestablished; and ʻAha Pūnana Leo — a nonprofit involved in reviving and spreading the language — was established. When Larry Kimura was young, the Hawaiian language was dying. Now, it thrives. Ekela Kaniaupio-Crozier – a Hawaiian-language teacher with more than 40 years of experience and one of the team members who developed the course – said Duolingo has become another piece to preserve and spread ʻōlelo Hawaiʻi. “In the same way that English is used in Hawaii, we would like to see Hawaiian used. Truly, if it's the official language of the state, then it should have equal footing,” she added. Kaniaupio-Crozier noted that there are a multitude of avenues available for people to learn Hawaiian language, but she expects that the convenience of being able to learn the language on a mobile app will be helpful. While some courses on Duolingo begin by presenting users with words and phrases to learn, the Hawaiian language course begins with a lesson on pronunciation, which the language team agreed was the most important component. The ʻōlelo Hawaiʻi course currently has 10 units, each containing multiple lessons that focus on areas like greetings, polite expressions, personal details and people. Getting Hawaiian on Duolingo was a several-month process that began in April, when a Kamehameha Schools alumnus reached out to Duarte to see if the school system would be interested in supporting the project. Duarte agreed, after which he and the alumnus submitted a proposal to bring the language to the platform. Duarte then sought input from Kanaeokana, a network of Hawaiian schools dedicated to developing a Native Hawaiian education system. Kaniaupio-Crozier noted that the course was created primarily with Native Hawaiians in mind. “It’s really to help our people first learn their language so it can come back in the hearts of those who own it, but also to share with everyone else,” she said. Development of the course began in July and continues, according to Myra Awodey, lead community specialist at Duolingo. The company expects to offer 20 units for learners by November. While Duolingo features a number of courses for widely spoken languages like English, French, Korean, and Mandarin Chinese, it has also received requests for smaller languages, Awodey said. Before the course was released, a Duolingo website said more than 20,000 users had expressed interest in learning Hawaiian. The company first forayed into endangered languages with Irish Gaelic in 2014. The course has a total of nearly 1 million active learners, according to the company, surpassing Scotland's 57,600 Gaelic speakers, according to the country's 2011 Census.